In our final installment of “The Patient’s Perspective”, we’re taking you through the decision-making, procedure, and recovery of undergoing the LAP-BAND® Adjustable Gastric Banding System or LAP-BAND surgery for short. 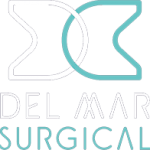 At Olde Del Mar Surgical, we understand the emotional and financial stress involved with choosing Bariatric surgery. Our Patient Resources include multiple groups and mentoring opportunities, letting you choose what type of support works best for you. We also partner with third-party companies to offer a number of financing options in case your health insurance won’t cover the cost of surgery. Because this restrictive weight-loss procedure is easily reversible, you won’t see dramatic weight loss results associated with other Bariatric procedures. The adjustable silicon gastric band remains inside your body to constrict the stomach opening, along with a port attached beneath the abdominal tissue that allows your doctor to inflate or deflate the device as necessary without additional surgery. This procedure is successful because it physically restricts the amount of food you can eat without inhibiting your body’s ability to absorb nutrients, making you feel full more quickly and for longer after each meal. The LAP-BAND surgery is the least-invasive weight-loss procedure and does not require any permanent surgical alteration to your digestive tract. This means your body will continue to produce hunger-causing hormones, making a strict diet of nutrient-dense, low calorie foods and consistent exercise crucial to lose weight. When properly adjusted for your body’s needs, you will only want to eat three meals per day, plus one high-protein snack. Before scheduling your procedure, your doctor will educate you on ways to reduce the size of your liver which is frequently enlarged in obese patients and can obstruct the section of the stomach to be banded. It can be dangerous to move a severely enlarged liver and may cause your surgeon to cancel the procedure. A prescribed “Liver Shrinking Diet”, which you’ll begin four to seven days prior to your procedure, will help reduce that risk. Because the LAP-BAND procedure requires much stricter attention to calorie-counting and willpower over “bad food choices”, your doctor may request that you have a psychological evaluation to ensure you’re prepared for long-term success. 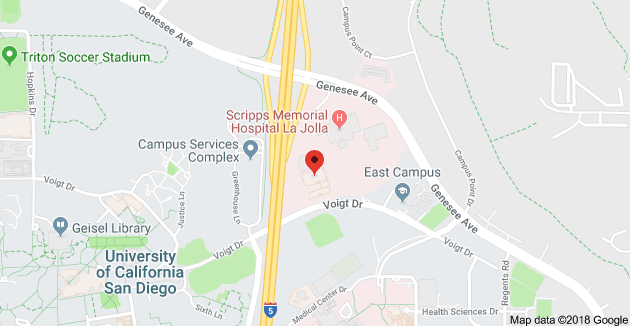 All LAP-BAND surgeries performed at Olde Del Mar Surgical are laparoscopic — meaning three to five small incisions will be made strategically around your abdomen. Doctor Bhoyrul and Doctor Farinholt then insert a laparoscope (thin viewing tube with a small camera attached) and other tiny instruments into these small incisions to place and secure the LAP-BAND device and fill port. A typical laparoscopic LAP-BAND insertion with no complications can last up to two hours. You’re under general anesthesia for the entire process. This procedure is typically performed on an outpatient basis. Your Bariatric team will monitor your pain, make recommendations for managing it at home, and discuss bed rest and light exercise necessary to prevent any post-op complications. You’ll start with a liquids-only for two weeks. A pureed food regimen is required for the next two weeks, followed by soft foods for another two weeks. By week six you’re ready for regular foods, having adjusted your portions and choices for your new stomach capacity. Nearly all LAP-BAND patients return to pre-surgery levels of activity within two weeks and some return to work as soon as one week after. After your surgery to insert the device, there is a period of healing required before your first adjustment. Referred to as “fills” where your doctor inflates or deflates the device using a saline solution injected into the port, the first adjustment takes place around 6 to 8 weeks post-op. These routine adjustments are painless and a great way to track progress with your doctor. More adjustments can be made to enhance weight loss, especially if you have plateaued; you can also request your band to be deflated a bit to help reduce side effects such as vomiting and nausea, or if you become pregnant. Before your first fill, you may not experience a change in appetite but do not be discouraged. Because your new stomach pouch can only hold about one tablespoon food at once, you must choose your foods and portions very carefully, making sure to give nutrient-dense items priority. Your new stomach pouch is also susceptible to stretching, and often patients are asked to eliminate all carbonated beverages after surgery to prevent this. Once your body has adjusted to the LAP-BAND device, your stomach pouch will accommodate up to one cup of food — but take care not to overeat. While the procedure doesn’t affect nutrient absorption, at first you may find it hard to get the necessary nutrition from your restricted diet. Your doctor may require a supplement regimen to ensure your body is getting the nutrients it needs to function properly. You’ll also need to drink at least 64 ounces of water every single day, remembering to sip just a mouthful at a time to prevent stretching. Because weight loss creates large quantities of waste products for your body to eliminate, the substances can frequently crystalize into kidney stones. Drinking lots of water helps your body flush out the fat and encourages weight loss results. To schedule your consultation to discuss LAP-BAND surgery, call (858) 457–4917. If you’re still considering your options or wondering what questions to ask your doctor, register for the FREE online bariatric seminar provided by the team at Olde Del Mar Surgical.